Scientists at the Ottawa Hospital Research Institute (OHRI) and the University of Ottawa (uOttawa) have discovered that mice that lack a gene called Snf2l have brains that are 35 per cent larger than normal. The research, led by Dr. David Picketts and published in the prestigious journal Developmental Cell, could lead to new approaches to stimulate brain regeneration and may provide important insight into developmental disorders such as autism and Rett syndrome. Dr. Picketts and his team created the mice to learn more about Snf2l, which is known to play a role in packaging DNA and determining which genes are active versus inactive. They found that the mutant mice were completely normal, except that they had larger brains, more cells in all areas of the brain, and more actively dividing brain stem cells. The Snf2l mutant mice are also providing insight into developmental disorders that are associated with changes in brain size. For example, by studying these mice, Dr. Picketts and his team found that Snf2l controls the expression of a gene called Foxg1, which causes the intellectual disability disorder Rett syndrome in some people. While the mutant mice have high levels of Foxg1 and large brains, people with Rett syndrome lack Foxg1 and have small brains. This research shows that Snf2l and Foxg1 work against each other to balance brain size. Autism is also commonly associated with changes in brain size (one third of autistic individuals have a larger brain), however no studies have yet provided a direct link between Snf2l and autism. The full publication is titled “Snf2l regulates foxg1-dependent progenitor cell expansion in the developing brain”, and the authors include: Darren J. Yip, Chelsea P. Corcoran, Matías Alvarez-Saavedra, Adriana DeMaria, Stephen Rennick, Alan J. Mears, Michael A. Rudnicki, Claude Messier and David J. Picketts. The Ottawa Hospital Research Institute (OHRI) is the research arm of The Ottawa Hospital and is an affiliated institute of the University of Ottawa, closely associated with the University’s Faculties of Medicine and Health Sciences. The OHRI includes more than 1,500 scientists, clinical investigators, graduate students, postdoctoral fellows and staff conducting research to improve the understanding, prevention, diagnosis and treatment of human disease. 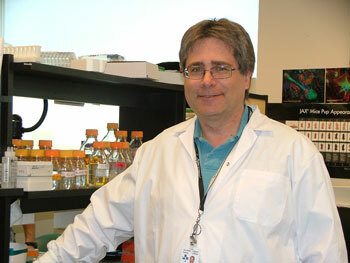 Research at OHRI is supported by The Ottawa Hospital Foundation. www.ohri.ca.